This past week has been big for cannabis in electoral politics. Thanks to Tuesday’s election we have now have a favorable Democratic trifecta in control of state politics with very strong support for medical cannabis expansion, and thirty-three states now have a comprehensive medical cannabis program. Ballot victories in Missouri and Utah transitioned these states’ low-THC CBD programs to significantly broader access. The year is not over yet and this is a crucial time for advocating for medical cannabis patient rights and to advocate for policies that expand the rights of our medical cannabis producers, dispensaries, manufacturers, and labs. 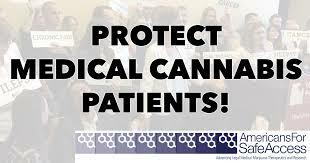 Lawmakers in the Roundhouse are preparing legislation for the upcoming 2019 Regular Session and now is the time to speak out and advocate for the changes the Patient’s Medical Cannabis Program needs as it has been severely neglected by the state over the last several years. As you may know my name is Jason Barker, advocate for Safe Access New Mexico a Chapter of Americans For Safe Access, a freelance writer for Cannabis News Journal and a medical cannabis patient in New Mexico. With over 100,000 active members in all 50 states, ASA is the largest national member-based organization of patients, medical professionals, scientists and concerned citizens promoting safe and legal access to cannabis for therapeutic use and research. This legislation will allow reasonable accommodations for safe access to medical cannabis at school. Nothing in this bill requires any school personnel to administer medical cannabis. Schools can opt out of this policy if the school loses federal funding as a result of implementing this policy; and the school can reasonably demonstrate that lost federal funding was a result of implementing this policy. This bill will also protect parents and pediatric patients as an individual's participation in the state's medical cannabis program established pursuant to the Lynn and Erin Compassionate Use Act shall not in itself constitute grounds for removal and placement into state custody of a child in that individual's care pursuant to the Abuse and Neglect Act; or the provision of state prevention, diversion or intervention services to that individual's family pursuant to the Family Services Act. This bill also exempts certain approved entities and employees and agents from criminal and civil liability involving medical cannabis. And since speaking out and advocating for this change both mothers are now experiencing retaliation and harassment from the school district, both Albuquerque Public Schools and Estancia Public Schools, such retaliation as contacting law enforcement and seeking civil actions in court. Please Speak Up and Advocate for these Mothers and other Families! Currently there are six other states with comprehensive medical cannabis programs (New Jersey, Maine, Washington, Colorado, Pennsylvania and Illinois) that have successfully set forth rules and regulations for allowing school-age children to have safe access to medical cannabis while attending public schools. No school or school district has ever lost any federal funding for allowing safe access to medical cannabis at school, nor has there been any problems. 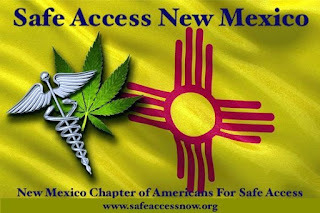 The New Mexico legislative council be requested to charge the chair of the legislative health and human services committee with convening and chairing the medical cannabis program advisory subcommittee and with appointing to the subcommittee: The Eight members of the current New Mexico Medical Cannabis Advisory Board, who are to be practitioners and representing the fields of neurology, pain management, medical oncology, psychiatry, infectious disease, family medicine and gynecology. The practitioners shall be nationally board-certified in their area of specialty and knowledgeable about the medical use of cannabis. In Additional members of the medical cannabis program advisory subcommittee shall consist of; at least one person who is from the University of New Mexico Medical Cannabis Research Fund, at least two members of the House of Representatives, one each from the majority party and the minority party; at least two Senators, one each from the majority party and the minority party; and a member of the legislative finance committee staff; and one member who is a representative of the New Mexico Department of Agriculture; one member who is a representative of the New Mexico State Pharmacy Board; one member who is a representative of the New Mexico Department of Health, at least two persons who possesses a qualifying patient's registry identification card; at least one person who is an officer, board member, or other responsible party for a licensed medical cannabis dispensing facility; at least one medical professional who is a medical cannabis provider, and at least one qualifying patient who is either a Armed Forces Veteran or prior Law Enforcement/Fire/EMT Veteran status. (The New Mexico Veterinary Medical Board does Support seeing this change take place.) *This is especially important to me personally as my dog, Tecumseh, has a extremely severe and rare form of canine idiopathic epilepsy. This legislation will allow cannabis to be discussed for medical purposes on animals. This bill will not allow a veterinary practice to sell or administer cannabis. Passage into law would then enable Veterinary Medical Doctors to recommend medical cannabis and complete the necessary paperwork as required by the state’s medical cannabis law, Lynn and Erin Compassionate Use Act, 2007. The bill, within the LECUA provision for exemption from criminal and civil penalty, adds a paragraph providing for immunity for approved entities, Department of Health (DOH) employees, or agents for the possession of cannabis, or for other activities, as may be permitted by department rule. The bill would also permit the department to extend the enrollment period of a patient or caregiver in the program if the department believes the individual’s enrollment might lapse as a result of a delay in the processing of the enrollment application. Overall enrollment periods would be increased from one year to two years. Provisions would be added to LECUA requiring the secretary of health to adopt rules to allow for interstate reciprocity, publish a patient census on the DOH website, and notify licensed producers of the current census. The adds substance use disorder, for which the applicant or qualified patient is currently undergoing treatment for the applicant's or qualified patient's condition; And allows any Qualifying Medical Provider per department rule to add any other chronic or persistent medical symptom that either substantially limits a person’s ability to conduct one or more of major life activities as defined in the Americans with Disabilities Act of 1990, or if not alleviated, may cause serious harm to the person’s safety, physical, or mental health; as approved by the department. The bill would also require the secretary of DOH to notify localities of the secretary’s intent to issue a new producer license to include the name and address of the new licensee. Also, the bill would not allow children to be removed and placed into state custody based solely on an individual’s participation in the medical cannabis program. The bill would also not allow someone to be precluded from receiving an anatomical gift due to that person’s participation in the program. I did also get a letter from the Department of Health Medical Cannabis Program about the upcoming MCAB Meeting Dec. 7th and the Doctors will review and vote on the Petition: Degenerative Neurological Disorders And Neuroprotective Applications (that was provided to them back on the Nov. 2017 MCAB Meeting), there should be the final decision on the Autism Petition as well, and Medical Cannabis in Schools will be discussed.